The About Us page on the LIT Coolers website is pretty simple. They have a simple commitment to providing high quaLITy products to their customers. Well, that ‘simple’ commitment is what has spawned their entire line of excellent products! LIT Coolers sell a lot of stuff, apart from coolers, including tumblers and accessories. However, their coolers are what they’re best known for, and for good reason. Their coolers are unique. The build is awesome, the features are plenty, and the signature LED lighting, which they’ve patented, is the coolest thing we’ve seen on a cooler in a long time. It even has a cool name that makes a night out camping with your LIT cooler feel like a secret mission: Night Sight Technology. Today, we at bestcooler.reviews are going to take a closer look at this gift to humanity with our LIT Cooler Review. Are you ready for the LITness? Great! So let’s start with the body. These things are tough! 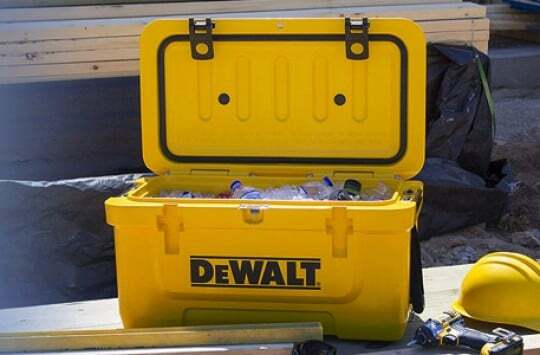 Every LIT cooler features a heavy duty, roto-molded construction that was built to last. Nearly all the reviews we came across online consisted of happy customers who had something sweet to say about the durabiLITy of these babies. 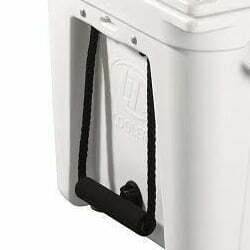 On the sides, you’ve got the super grip nylon rope handles for easy carrying when you’re moving the cooler around. There are also some pretty nifty built-in holes in the handle grips that make it easy to secure the cooler for long distance travel. 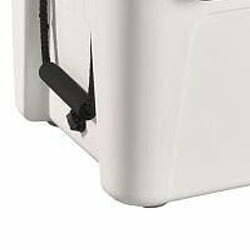 The lid is well designed, with secure marine latches for extra tightness. We also loved the heavy duty hinge that seems to be built to last as long as the cooler itself. 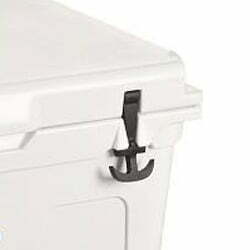 For many coolers, the hinges are the first to get worn. Not so with LIT coolers. Underneath one of the nylon handles is the drain plug for easy cleaning, and then we have the bottom, where LIT added something extra for us to marvel at. The rubber feet are taller than average, giving the cooler extra clearance from the ground and better protection from surface heat, which can sometimes compromise the internal conditions of the cooler. The rubber feet themselves are heavy duty and have excellent grip, leaving the cooler stable on all kinds of surfaces, including wet and slippery ones. This rubber gasket seal is a half inch wider than other typical cooler leads. The result is that the close is extra tight on the lid and the insulation is perfect. This is one of those LITtle extras that LIT are notorious for dropping into all their products. LIT want you to own your cooler. Whether you’re buying it for yourself, a customer, a prized employee, or a loved one, it only befits the purchase that the cooler should be customizable. That’s why each LIT cooler comes with the transparent logo plate that can be customized and “recustomized” an endless amount of times. 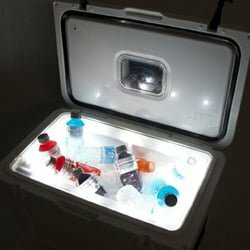 Oh, and by the way, this is a unique feature to LIT coolers as they already have a patent pending. Talk about exclusivity! LIT are serious about the utiLITy of their coolers. Ultimately, it’s a cooler’s job to keep ice cold for as long as possible. The longer the ice can last, the better. They weren’t satisfied with a simple ice chest. That’s what everyone else was doing. So they went the extra mile and put in 4 impact-resistant ice legs. These ice legs seriously prolong the amount of time that ice stays cold in the cooler. LIT Coolers’ official duration is 96 hours. We tested one of their coolers, and it easily did 120 without as much as a single drop of melted ice. That’s five days! We bet it can last longer, according to all other reviews we’ve been reading on Facebook and Amazon. 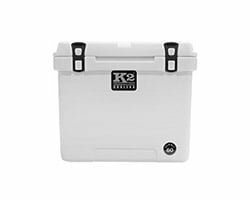 This is pretty good in comparison to other coolers in the market, like the Yeti Tundra and the Roadie, each of which has official times of 120 hours. 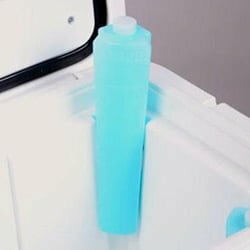 To make the design even better, the ice chest itself is deep enough that it can be closed with the bottles standing upright. And this is the cherry on top. LIT Coolers are very serious about this extra feature. So serious that they have a patent for it. So serious that they recently took another company to court for putting a similar function on their coolers, and won. The LED lighting at the bottom is just perfect. 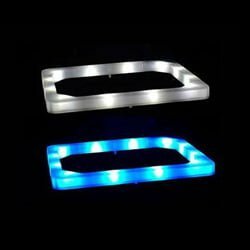 It lights up with different colors and makes seeing the inside of your chest at night an easy job. Not only that, but it also makes it look like you’re having a party right in your cooler. It’s safe to say your cooler is LITerally LIT! The next time you go for a tailgate party, carry along your LIT cooler, and we guarantee everyone will flock around you just to see what that cool light in your cooler is. The light itself is rechargeable and, according to online reviews, lasts pretty long between charges. Some reviewers report up to two months of light between charges, and these are the ones who use their coolers frequently! There’s also an on/off switch near the lid for turning the light on and off. 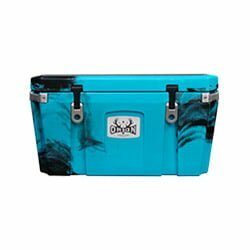 LIT have gone out of their way to make sure the whole customizabiLITy vibe is alive and well with the range of colors they offer for their coolers. You can get your cooler in white, gray, red & pink, and sage. There’s also the camo topper option, and the limited Demun Jones – Jones County Edition, which is purple with a yellow top. 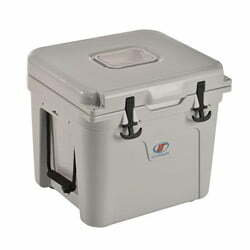 LIT Coolers come in 3 different sizes: the 22 quart, which can fit 24 cans, the 32 quart, which can fit 36 cans, and the 52 quart, which can fit 48 cans. They’re comparable to the Yeti Tundra 35 and Yeti Tundra 45 coolers. Considering the amount of technology that went into their coolers, and the number of things that could go wrong, LIT are quite confident in the durabiLITy of their products. That’s why they offer a five-year warranty on every cooler and a one year warranty on the Night Sight LED strip that comes with it. 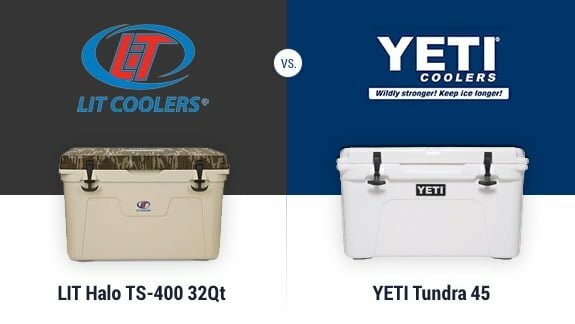 The first significant draw between the Lit Coolers vs Yeti is the price difference. 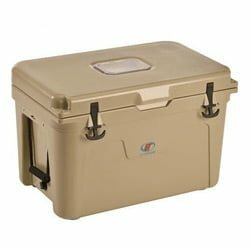 LIT coolers are pretty pricey as they come, but Yetis are significantly more expensive. 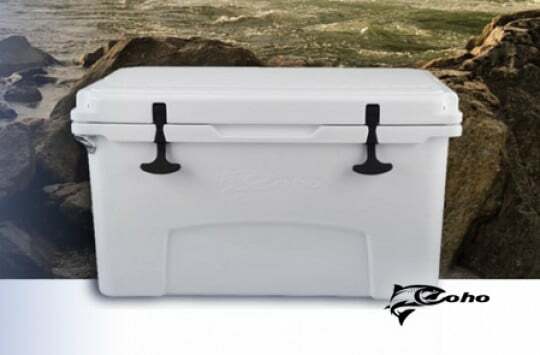 Both coolers seem to have similar ice retention capabilities according to tests and online reviews, and both are built with a roto-molded construction that’s super durable. 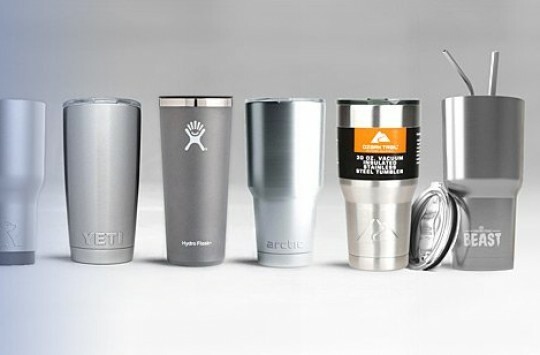 When it comes to brand reliability and image, Yeti is undoubtedly superior, having built its name within the industry and being known for making high-quaLITy products. 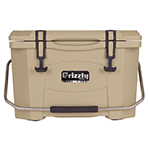 The Yeti Tundra, which is the closest counterpart to LIT coolers, also has a lot more size options. LIT coolers, however, take the day when it comes to features. The Night Sight LED liner is a one-of-a-kind feature that you won’t find anywhere else. Ditto for the customizable logo. LIT coolers are also pretty durable and well built, so you won’t be getting a substandard product. If you want the tried and true and don’t mind forking out a few extra bucks, then a Yeti Tundra or Roadie will be just fine. 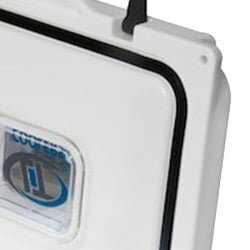 However, if you want a new kind of cooler that you can customize in whatever way you want, and wouldn’t mind saving some dollars on your purchase, then you’ll appreciate what LIT Coolers have to offer. LIT Coolers For Sale – Where to buy? 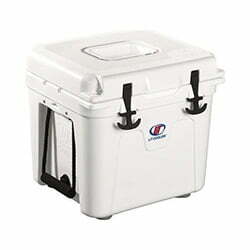 You can purchase your LIT cooler in a variety of places online. For starters, you can get it on their website, brand new. 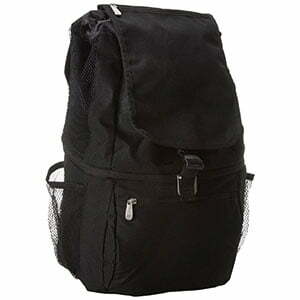 You can also get it online and offline at major department stores like Sears and Walmart. However, the place we recommend to make your purchase is Amazon. You’re likely to get good deals there as a lot of sellers are competing to sell the same product, and you will feel a lot safer with Amazon’s reliable buyer protection. You may even get free shipping, especially if you’re a Prime member! If you find any LIT coolers on sale, get yourself one. This is one of those coolers you just can’t afford not to have. They’ve got great utility, they look good, and they’re affordable! Your camping trips will undoubtedly be more LIT!